NCCAS supports architectural design and engineering firms with their food and packaged goods plant projects. 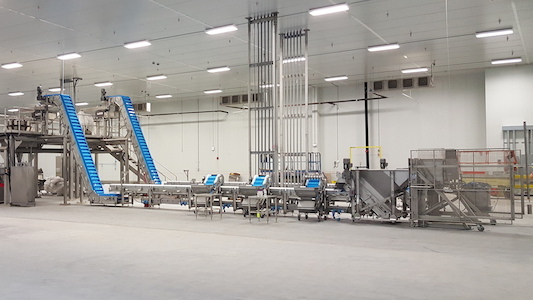 We provide turnkey conveyor systems and packaging lines to meet your clients’ needs, including planning layouts; procuring equipment, conveyors and controls; integrating new conveyors and equipment with existing equipment; and commissioning systems. The NCCAS team is well-versed in CPG and food manufacturing processes and principles and helps clients with overall line design, integration, and execution. 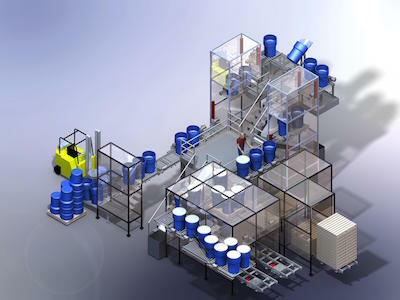 Our services range from offering a simple conveyor to a turnkey packaging line. We offer both sanitary and non-sanitary conveyor systems. Whether you need assistance identifying options for a new system or help to reboot a current line, our team can help. Our experience working with design and engineering firms, and our wide knowledge of many industries, lead us to be a top choice for integrating packaging systems in new manufacturing facilities. We know how architectural design and engineering firms work, and we're experienced at filling any service needs you may have related to conveyor and packaging line system design, controls integration, installment, and start-up. We are the support arm for A&E firms to help you meet your clients' needs. A TURNKEY PROCESS: We’re a project-oriented integrator and we’re very experienced - so our process is well-defined. It’s been validated to be successful. We’re repeating and executing a repeatable, known, and dependable formula. That’s why firms choose to rely on our experience, expertise, and positive reputation. LARGE EQUIPMENT SELECTION: We compare potential manufacturers and develop a decision matrix that leads your customer to make an educated choice for your design. We're not tied to one conveyor or packaging equipment manufacturer, so you and your customer can choose from any equipment that will make their automated plant operate most efficiently. SPECIALIZATION IN AUTOMATION SYSTEMS: Our knowledge and experience is in comprehensive automation systems, including conveyors, controls, and equipment. Our team has a deep understanding of how each phase of automation impacts the next, and we anticipate your client's needs for additional equipment, integration, controls, and packaging for their entire system. 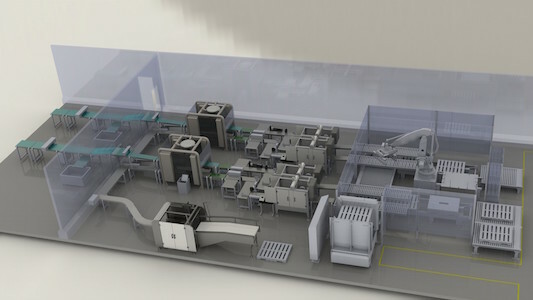 AN EASY SOLUTION: We want to be the partner you depend on for expertise in automation systems from conveyor and packaging line design, to automation system installation, commissioning and start-up. Design and engineering firm depend on us because we make this part of their job easy. The experience has been very positive through the implementation of creative and cost effective engineering solutions. I am grateful for their proactive approach and feel that they contributed beyond their expected requirements to make this a successful project. We are proud to offer Turnkey Systems for Food Producers. Check out our full library now.